One early autumn many years ago, I traveled to Ft. Atkinson, Wisconsin to help my friend Kim Grunow build the original Rock River Canoe shop. For two weeks, Kim and I worked in the shop in the morning stripping the cement floors, painting, building shelves and stocking the place for the grand opening. Afternoons, we went canoeing on the Rock or Bark Rivers, then often spent nights drinking at the infamous Cafe Carpe, although we also had traditional Wisconsin fish fries to attend on Friday nights, weekly dinner with the neighbor Dr. Frank and his wife, and we had to go to a City Council meeting one night to contest a citation from the building inspector. He was concerned about the size and mounting technique of the Canoe Company’s large outdoor wooden sign given the fierce winds that sometimes kicked up along the course of the Rock River. Kim and I talked tonight. 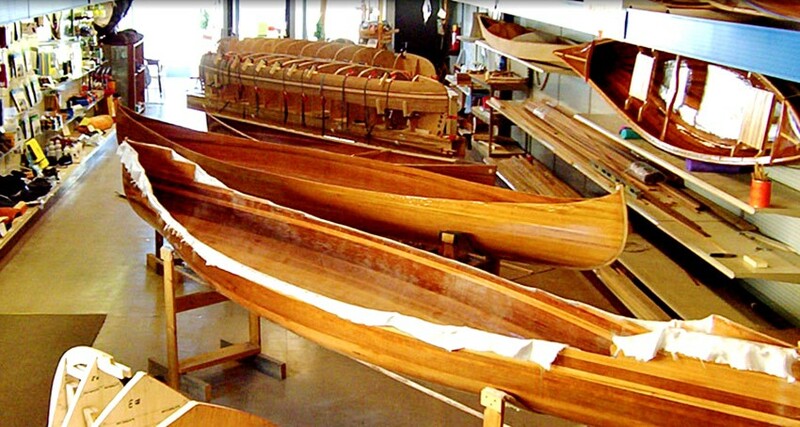 I learned with great sadness that Rock River Canoe is shutting down. The building where countless people over the years built their dream kayak or canoe under Kim’s guidance has been sold. 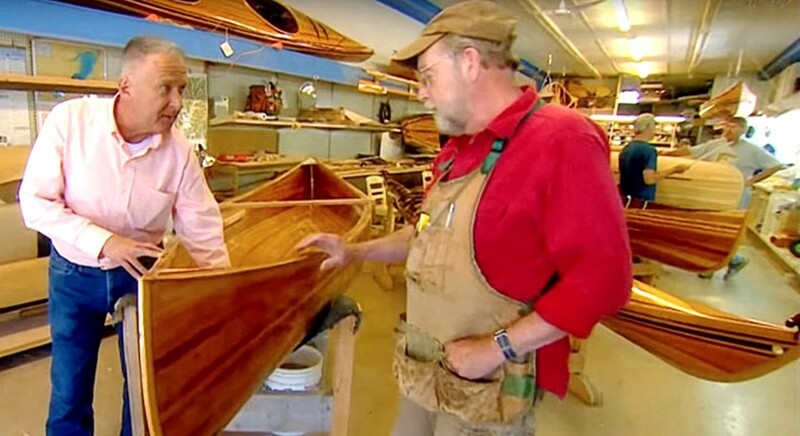 The city’s mall-like River Walk won’t be the same without the canoe shop. I am sad, but I am also proud to have been a tiny part of this wonderful cultural institution. When people finished working on their canoes and kayaks each night at 9:00 pm, Kim would often break out a bottle of vintage scotch, especially as weekends approached, and they would talk politics or poetry or the fabulous history of early American “barks” used for exploring a virgin continent by everyone from William Bartram to Lewis & Clark. During my visit, there were many evening conversations on Kim’s porch overlooking a huge, tree-filled backyard full of wild critters. We talked about the state of the country and the troubled politics of the day. It was 16 years ago, with George W. Bush preparing to launch post-9/11 wars in both Afghanistan and Iraq. Kim was President of the local food bank. From our conversations, I learned that nearly every small village in Wisconsin had such food banks, and they did much more than provide food. Many people, even in these idyllic backroad communities, were suffering in poverty and needed help with medical care, eyeglasses, special operations for their kids and much more. The social safety net evidently had too many gaps to support their needs, even as the nation was preparing to spend what would end up totaling $2.4 trillion by 2017 on pre-emptive wars. Kim described what he and his fellow community leaders were seeing as “a disquieting undercurrent” in US society. The problems we were discussing then seem almost quaint in 2018, but I now realize that Kim was describing the conditions that eventually led to the current widespread problem of opioid abuse in rural areas of the US. I was always flattered when Kim printed one of my political articles, heartfelt polemics all, and passed it around early in the afternoon for evening discussion with his boat builders over scotch. Although in truth, I’m sure the time would have been better spent discussing Bartram’s fantastical canoe trip down the St. Johns fighting off gators at every bend in the river while looking for a safe place to land his “barque” and camp for the night. 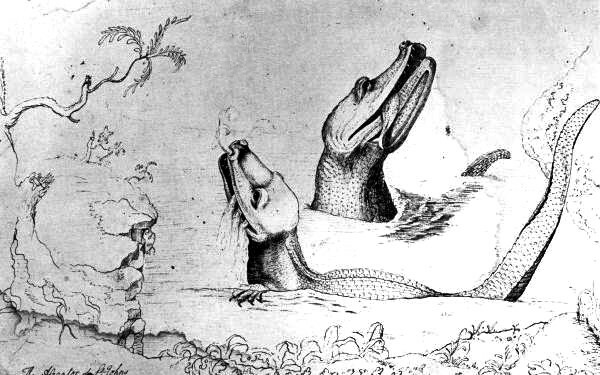 Public domain photo of a William Bartram drawing of “crocodiles” encountered along the St. Johns River in Florida. At one point while fishing the St. Johns for his supper, Bartram famously described a clash between two alligators, which he called crocodiles. Today, the crocodiles are everywhere, creatures of contemporary hyper-culture in which government has become a reality TV spectacle fueled by intrusive 24/7 social media. In politics, nostalgia is nearly always a cover for a hidden and often damaging agenda, but lamenting the continuing loss of cultural and civic diversity in communities across the US, and it’s displacement by globalized political and economic monoculture, is not necessarily an exercise in nostalgia, even though it is sometimes exploited by politicians. The Rock River Canoe website used to have a little pop-up window with their phone number that said, “We don’t tweet, text or email. Pick up the phone and call us.” Perhaps this is how real political engagement begins — simply talking. RIP Rock River Canoe Company. I know you will rise again. ©2018, Michael Meurer, originally published at the Reimagining Politics journal/blog.